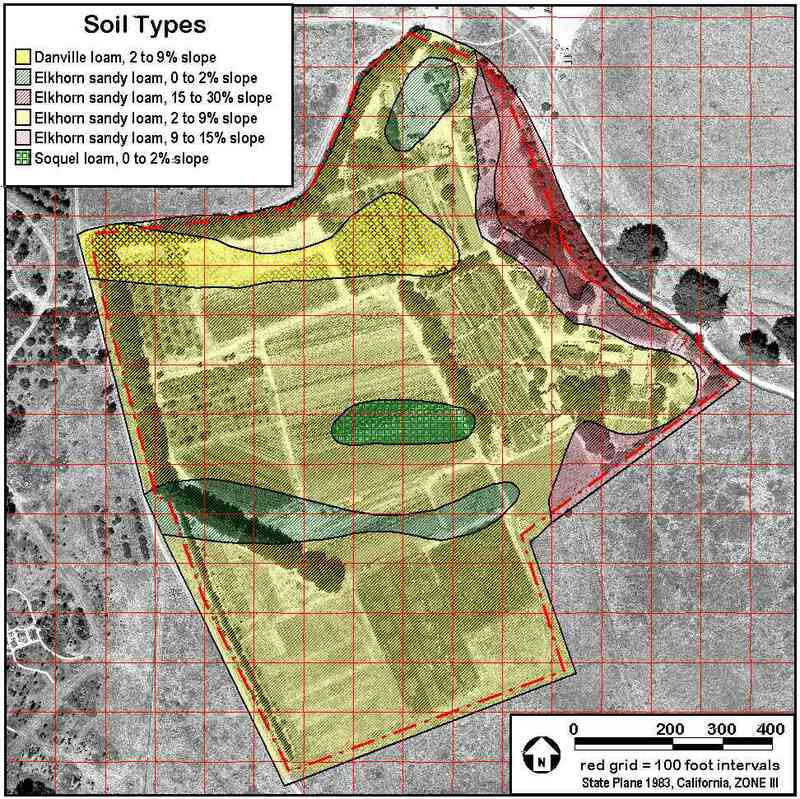 The CASFS Farm Landscape Project developed a multiple use Geographic Information System (GIS) to support farm resource management, teaching, and research at the University of California Santa Cruz (UCSC) Center for Agroecology & Sustainable Food Systems (CASFS). As a start, the project has prepared GIS base layers using aerial photography, a digital elevation model (DEM) and Global Positioning System (GPS) technology in collaboration with the UCSC Arboretum and the GIS laboratory of the UCSC Environmental Studies Department. Using hierarchical landscape classification and field verification of rectified images, land use and perennial vegetation cover patterns were identified and mapped across the farm. Over the long-term, the farm landscape project will develop a precision resource management system for the farm that will assist in monitoring ecological sustainability of farm management. Landscape Classification based on ecotope classification. Technical details on the farm management GIS data product.